Come ski and snowboard dressed in your finest Kris Kringle red & white… or quite simply anything related to the Christmas Holidays: elves, candy canes, shiny presents, Mrs. Clause, etc. 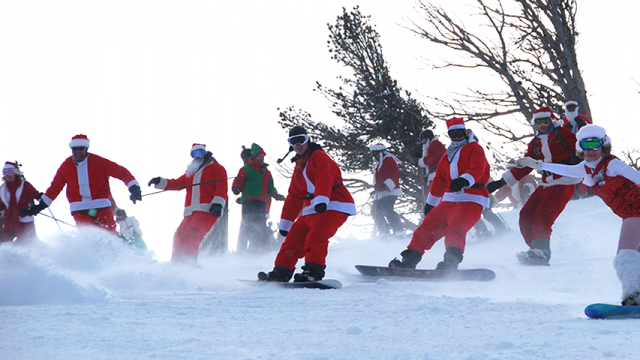 $69 Lift Tickets to those dressed in the full holiday spirit (not just a Santa Hat!) – please check in at the Info Counter inside the Main Lodge. 10:45am: All Santas gather at the Ski Team Meeting Area (near the bottom of Northwest Lift) to ski down Kit Carson Bowl together. End with Eggnog on Galena. 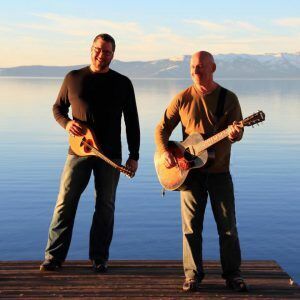 Timbers: Great Basin Specialty Beer Release plus a Great Basin Tap Takeover – $5 Beers!